Halloween has become a very popular event of the past couple of years for people in England and is one of the most celebrated events of the year. oFlux Presents a night at the Haunted Mills- Canal Mills, Leeds. oFruity presents The Halloween Pumpkin Rave! The perfect excuse to sample our huge menu of cocktails! 2-4-1 Cocktails available Monday-Friday 4PM-8PM Saturday 12noon - close. Zombie Disco - I LOVE VODKA HALLOWEEN SPECIAL!£1 Drinks 2 Floors 3 Bars BEST OUTFIT WINS A £100 BAR TAB!!! Where spookier to spend Halloween than at Fort Nelson? 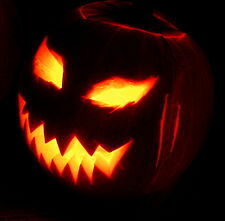 For All Hallow's Eve the Royal Armouries are hosting four days of activities in the tunnels underneath the Fort. Join Dr Terror for a tour of the Fort's chambers, or take part in craft activities including making an executioner's mask and axe. There's also Halloween storytelling and other creepy activities. Some of the city's grandest buildings are inviting in spirits of all ages for some family fun this Halloween. Leeds events include the Halloween Spooktacular at Temple Newsam. Entered the dark mansion dressed in your spookiest outfit and go on a haunted hunt for tricks and treats. And at Lotherton Hall you can make a creepy mask ready for Halloween.